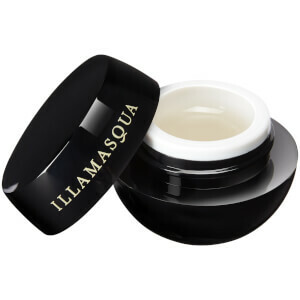 Achieve a flawless makeup look with the Illamasqua Pressed Powder in '010', a translucent setting powder that works to mattify the complexion and set makeup in place. Finely milled for a soft and silky texture, the powder glides effortlessly across skin, mattifying, banishing shine and prolonging makeup wear with long-lasting effect. Expect a perfected complexion with velvety finish. Housed in a mirrored compact for convenient touch-ups. Use alone to mattify skin, or with foundaton to hold makeup in place. Apply by using a large powder brush. Talc, Dimethylimidazolidinone Rice Starch, Mica, Aqua (Water), Magnesium Myristate, Propylene Glycol, Octyldodecanol, Isopropyl Myristate, Glyceryl Stearate, Peg-150, Ricinus Communis Oil (Ricinus Communis (Castor) Seed Oil), Phenoxyethanol, Cetearyl Alcohol, Silica, Quaternium-26, Glyceryl Ricinoleate, Methylparaben, Cera Carnauba (Copernicia Cerifera (Carnauba) Wax), Candelilla Cera (Euphorbia Cerifera (Candelilla) Wax), Ethylparaben, Sodium Cetearyl Sulfate, Stearic Acid, Cera Microcristallina (Microcrystalline Wax), Tetrahydroxypropyl Ethylenediamine, Propylparaben, Paraffinum Liquidum (Mineral Oil), Cetyl Alcohol, Cera Alba (Beeswax), Parfum (Fragrance).